Drink a Beer, Save the Nation? In this blissful age of international trade, we’re told that worldwide supply lines thousands of miles long—with cheap labor pitted against better-paid labor—is somehow the key to economic nirvana. The super-rich, their media, their court economists, their Congressmen and their think tanks say so. Therefore it must be true. But the bane of the free-traders that never quite dies—economic self-sufficiency—is taking root more deeply. Consider craft-beer production, which is skyrocketing in these United States. According to the Brewers Association, a not-for-profit trade association dedicated to small and independent American brewers, American craft-beer production volume increased eight percent during the first half of this year. This represents an historic number of breweries operating in the U.S. And there’s plenty of room for more growth, the BA and others say. Foreign-grown hops are part of the mix, at times, and that’s OK. 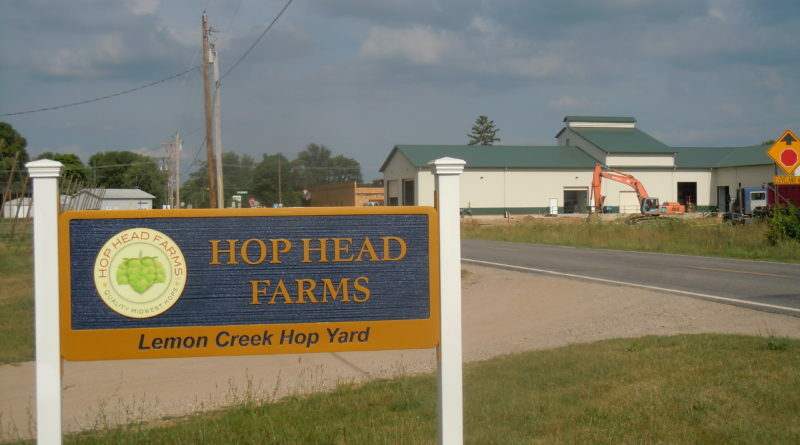 But Michigan’s local hop farms are spreading very quickly, turning fallow land into productive land. 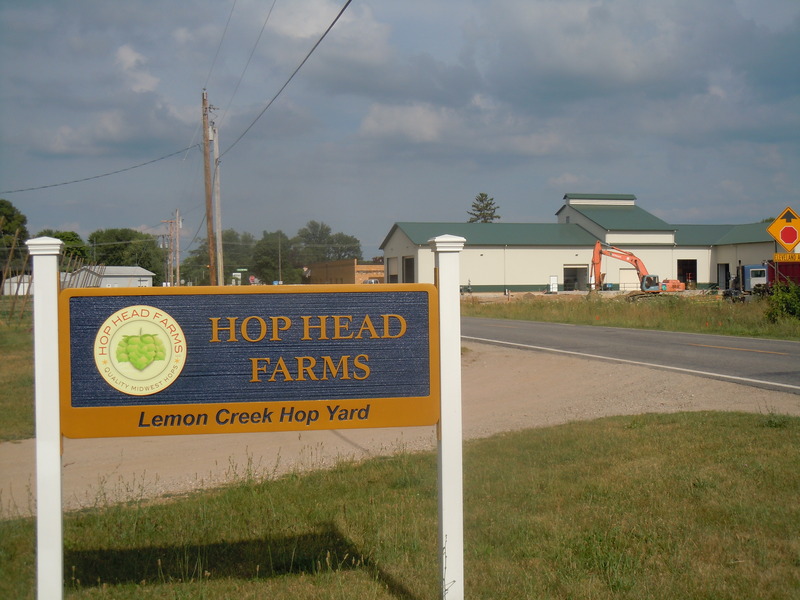 These locally grown hops enter local beer production and the beer is sold at local restaurants, sports bars and at local liquor and grocery outlets. And conducting final-product sales near or within the production zone. This process intensifies local economic activity. And those who hire the workers for the grassroots beer industry are your friends, neighbors and sometimes your own family. They are not faceless corporate wonks through whose veins quicksilver flows as they soullessly watch stock indicators and enrich themselves, often at others’ demise. Although big-box brewers like Anheuser-Busch have long dominated the draft offerings at most bars and restaurants—and for years have enjoyed front-row displays at grocery and liquor stores, complete with posters of saucy beer girls enticing customers to plunk down their pesos for the usual suds—a number of craft brewers sell their beer at their own outlets, many of which offer snacks, food and live entertainment. This factor (as is also the case with local wineries) is helping to revive local musicians’ often dire prospects. For years they’ve seen DJs overtake a formerly bustling local live-music scene. Some local breweries allow customers to bring their own snacks and food in a picnic-like atmosphere. Furthermore, an increasing number of craft breweries have simple open designs, featuring garage-style doors that roll up and enable customers to walk unimpeded from indoor seating areas to outdoor ones. And the resulting variety of IPAs, stouts, ambers and whatnot is nothing short of astonishing. All of this creates social outlets where the rich, the middle and the poor cross paths. Beer becomes the great eraser of social rank. It’s high time to turn off the TV and get out amongst each other and chat. And maybe help rewire the nation for the better. Breweries (and coffee houses), long the soil of political discourse, perhaps can once again become a forum to sidestep the manufactured “consent” doled out by the dominant parties and media. Clearly, I’m not advocating unhinged binge drinking of a sort that would make frat boys blush. But if you sense there’s something approaching a moral imperative to drink some beer, you’re basically right. America needs more things to call its own. And if beer happens to be one of those things, then so be it. Ben Franklin’s adage that “beer is proof that God wants us to be happy” could not be more fitting. ← UPDATE: Brexit a One-Way Ticket to ‘Atlanticism’?